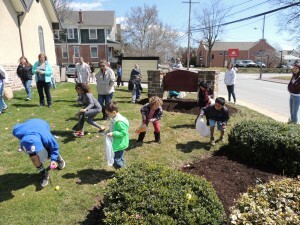 Last Saturday First Baptist hosted our annual Easter Egg hunt. It was a great time for children and their families to come and have fun learning about the gospel story, have lunch, do crafts and of course hunt for easter eggs. The Christian Education Board did a great job putting the day together. Here are some more pictures of the day.